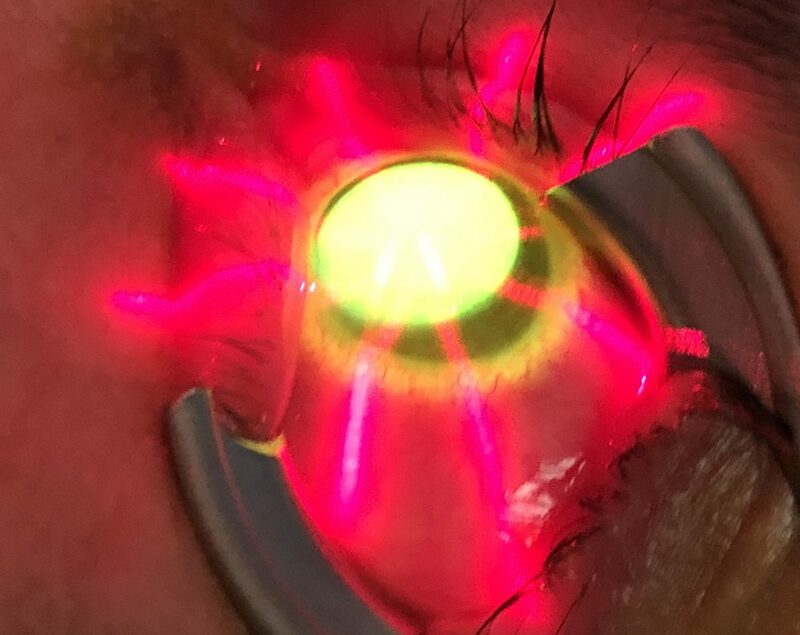 Cross linking is a new modality in the fight against keratoconus disease. The concept is easy to understand with some examples from daily life. Imagine you have 50 thin sticks. It is easy to break them one at a time. But if you tie them together, it becomes tougher, infect very tough. In unity there is strength.Crosslinking is very easy to understand. Imagine if you had parallel thin wires. They would be easy to bend. Now imagine if they were glued together. Would they be as easy to bend? No, because they would act as one unit, instead of multiple units. Love between the wires or units promotes tensile strength. Lets take another example from the sport of fishing. If you throw multiple strings in the water, how many fishes would you be able to catch? None, correct? Now tie the strings together to form a net. Viola, you have fish, dinner and some stories to tell. Cornea is similar. It is made of collagen fibers which run parallel to each other. So they can slip and slide. There are cross linking fibers which run obliquely and interlace multiple parallel fibers providing rigidity and strength. In a cornea afflicted with keratoconus, the collagen fibers of the cornea can be crosslinked to increase the rigidity and strength of the cornea. Therefore, the cornea can be prevented from thinning and sagging further. Once you understand the concept, you will be able to appreciate that the best time to undergo this procedure is when the cornea begins to thin.As you remember keratoconus disease starts around puberty and wanes towards middle ages. So it is a good idea to undergo cross linking in your teens and twenties when keratoconus is progressing rapidly. The collagen fibers are protected by the epithelium. To reach the fibers either we have to reeve this layer of epithelium, or apply a chemical which can penetrate the epithelium of the Cornea. This gives rise to the techniques of ‘epithelium on’ or ‘epithelium off’ technique. The removal of epithelium is akin to the procedure of PRK. In either case the riboflavin is allowed to penetrate the substance of cornea called stroma (where the collagen fibers are stacked). UV radiation activates the riboflavin molecules to form bonds between various fibers. Thus the fibers get linked to each other from these bonds.